Tempo Time Adjustment and Content Normalization. Unparalleled video and audio quality. 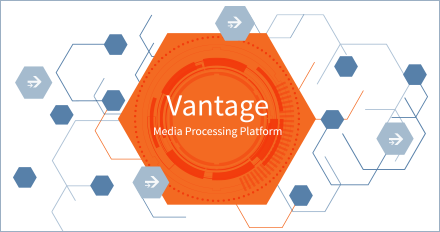 Maximize content value and implement highly automated production workflows in Vantage. Tempo™ is a high-quality solution for re-timing and/or normalizing file-based content and intelligently decreasing or increasing the running time of shows and segments. Tempo utilizes comprehensive time compression algorithms that deliver superior quality and faster turn-around times. Running on the Vantage media processing platform, Tempo offers all the benefits of the world’s best workflow management and transcoding system and can be automated to run touch-free on premises or in Telestream Cloud. Tempo applies retiming throughout the program, which results in much better and consistent quality. Tempo for Spots is a mode of Tempo that excels at normalizing short-form content in an automated fashion with the ability to process and normalize/retime files in blazing speed, when executed on Lightspeed hardware. Tempo runs on the Vantage media processing platform providing unparalleled quality of media assets with no noticeable visual or audible artifacts. Since it is built on the flexible Vantage service oriented architecture, made up of discrete services and connectors, Tempo can be seamlessly connected to other Vantage or third-party systems to create a powerful automated workflow – all under unified system control. Tempo can shorten or lengthen an existing asset’s running time from 1% to 10% without noticeable loss of video or audio quality. Perfect for TV show re-timing and broadcast re-timing. Tempo features advanced workflow and operational features that not only make it easy for new and existing content retiming personnel to use, but it also automates many of the QC processes to allow operators to quickly achieve the highest video and audio quality possible. Tempo is the only retiming solution that features “Two-Pass Retiming”, which automates the process of finding artifacts and errors and negates the requirement for editing out improperly retimed scenes. Drag Vantage clips into a clip palette and view them in a built-in video player that provides for quick marking of segments to be re-timed. Run a "two-pass" operation in which the first pass identifies potential retiming flaws and allows for placing quick "holds" on those sections. In this mode, the target duration is accomplished in non-hold sections of the media. Tempo can also be controlled in a touch-free fashion by submitting an XML file into the Tempo action, which utilizes Telestream’s Tempo-CML commands to control retiming and segmentation. These XML files can be activated with a Vantage Workorder (Excel CSV file) to quickly perform batch operations on multiple source files. XML template files can feed automated Tempo workflows in Telestream Cloud to retime content without it ever leaving the cloud. Audio– Tempo performs compression operations on audio with equivalent timing for the video, implementing pitch correction, which uses a special synchronous technique that preserves the original sound’s pitch. Tempo supports secondary Dolby E audio programs via decompression and re-timing. Captions – Caption data (608 and 708) is redistributed to maintain the original presentation timing for the text, and automatically maintains bandwidth restrictions. Subtitle retiming is supported and Tempo generates a new STL file that is retimed to match the retimed video. Formats - Built on Telestream’s award winning Vantage media processing platform, Tempo supports an extensive range of input and output formats and wrappers. For a list of supported formats and wrappers, consult the Vantage Transcode format encode and decode format sheets. 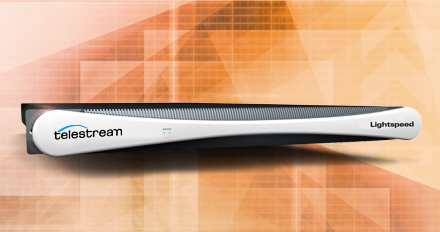 A key differentiator of Tempo is that it runs on Telestream’s highly-scalable Vantage Media Processing platform, which can augment content retiming jobs with a wide range of powerful workflow and metadata automation features. 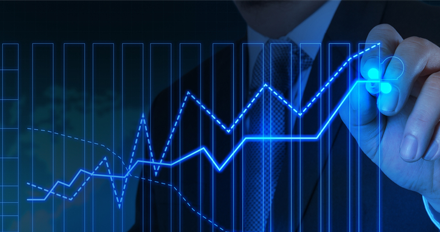 Tempo is the only content retiming solution on the market that runs in Vantage.